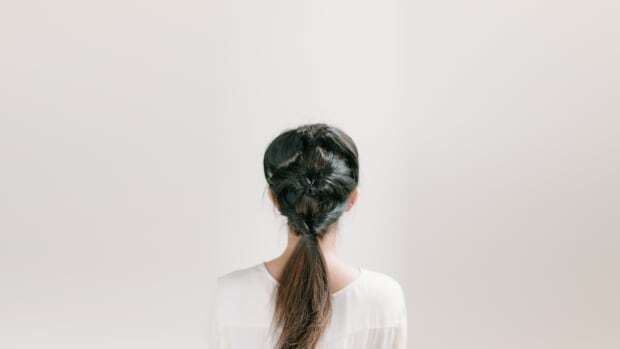 Much as we love a good fishtail braid, we also know that plenty of times our attempts look way more frazzled than finished. 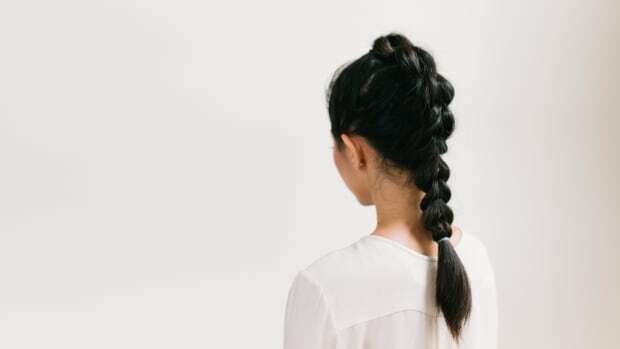 If you’re not well-equipped for hair twisting and weaving but still want that free-spirited, bohemian fishtail look, a faux version may be right up your alley. 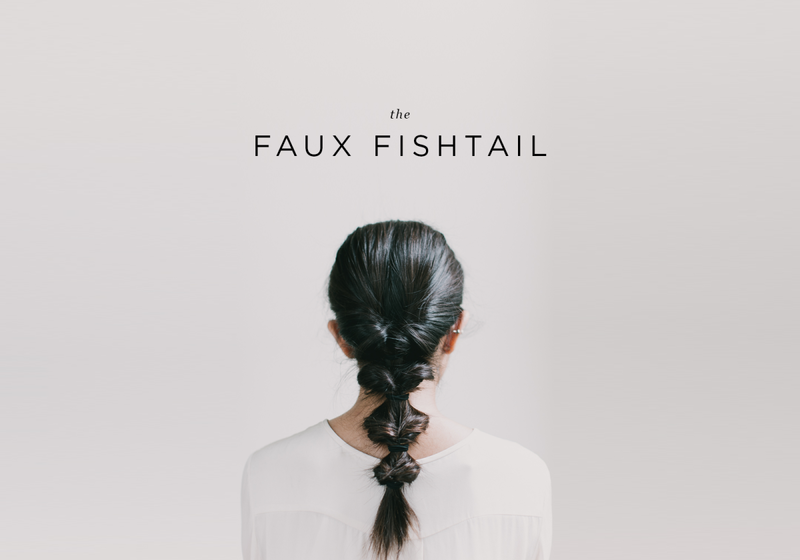 Follow these simple steps to achieve a unique faux fishtail—no braiding necessary. 01. 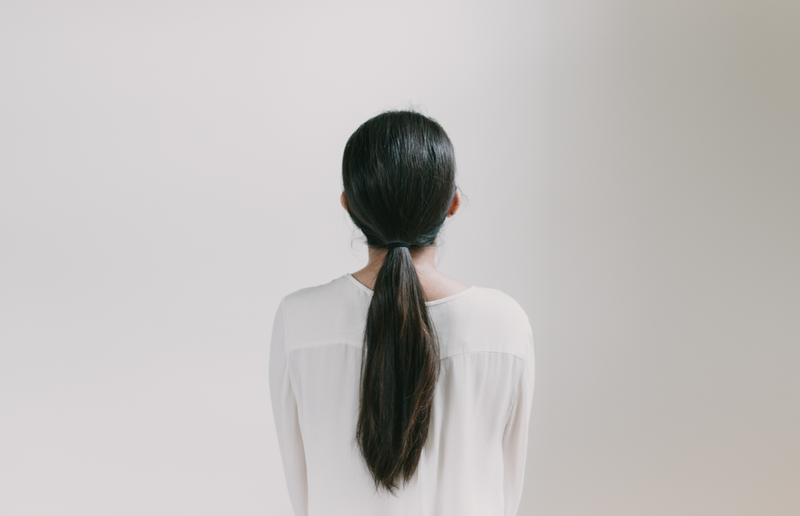 Start with a regular ponytail. 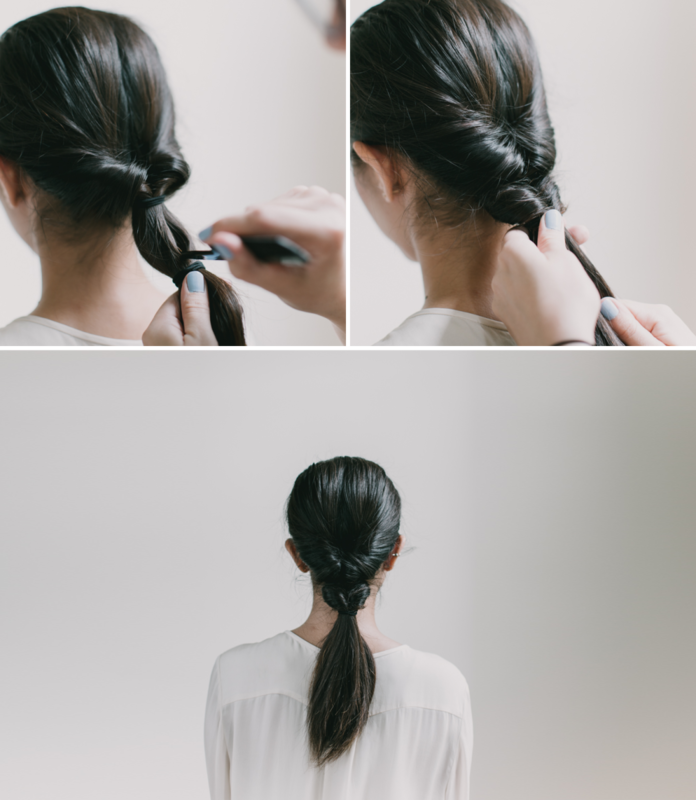 Take the pointed end of a comb, and split the base of the ponytail above the hair tie. 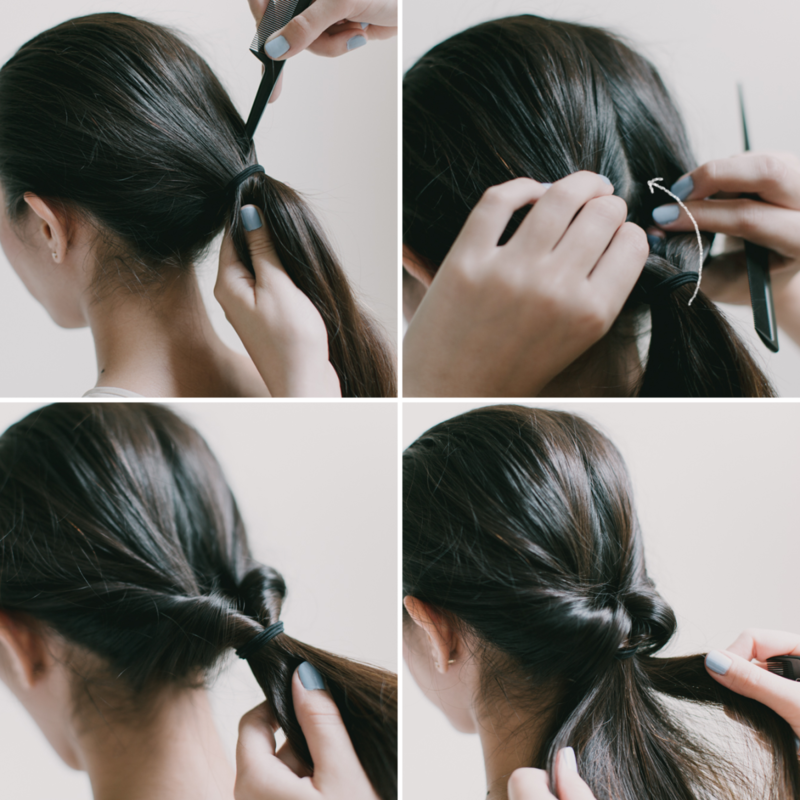 Flip the ponytail inside the hole, turning the ponytail inside out. 02. 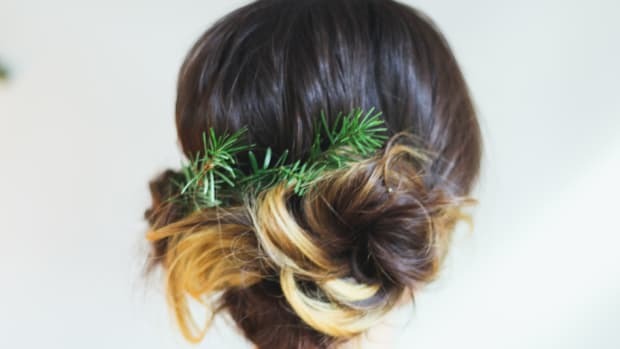 Tighten and fluff the twists to achieve a fuller look. 03. 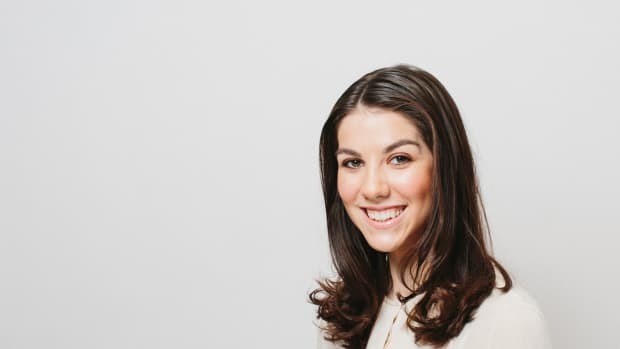 A couple inches down on your ponytail, fasten another hair tie. 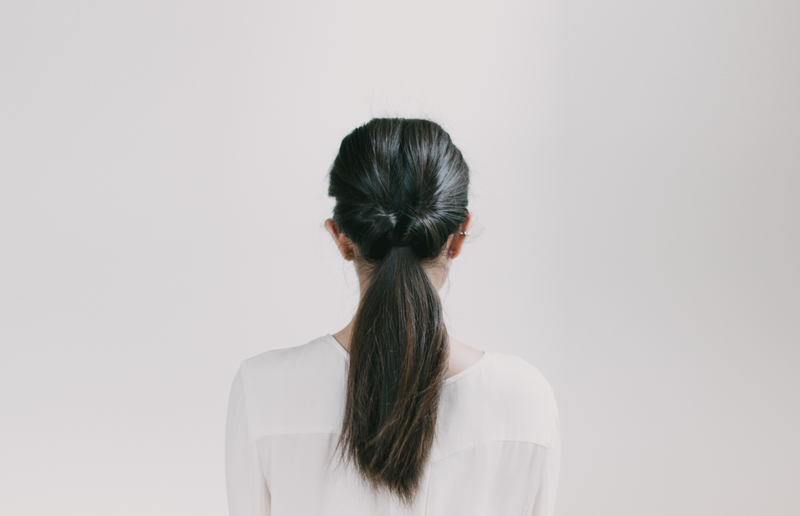 Similar to the second step, split the section between the first ponytail holder and the second ponytail holder in half, and pull the ponytail up and through the hole. 04. 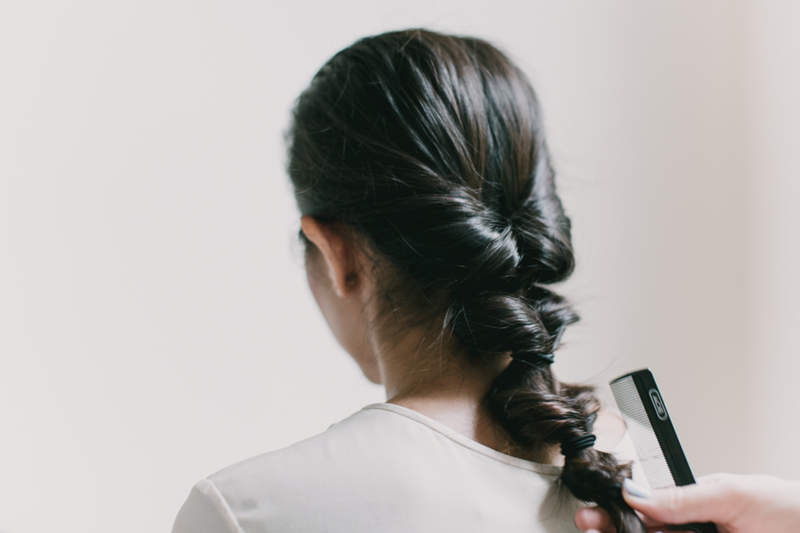 A couple inches down, fasten another hair tie, and repeat step three. 05. 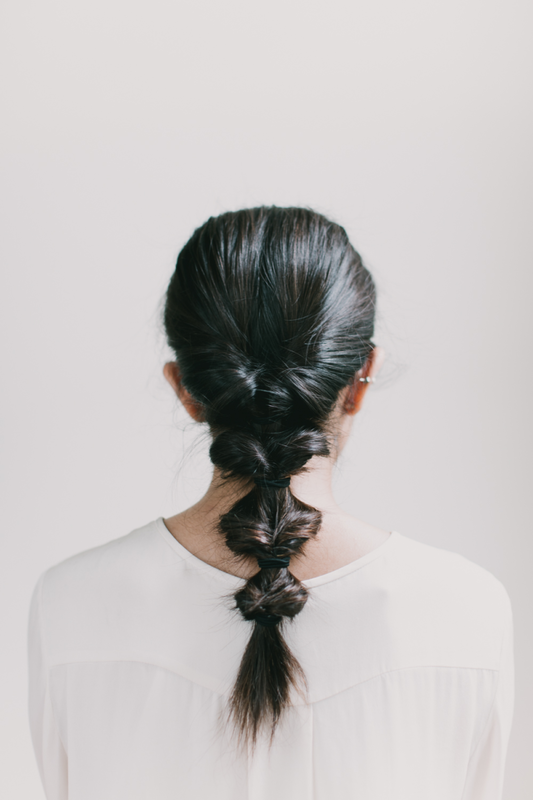 Repeat until you finish your faux braid.